On 23cm the best way to obtain a good RX-sensitivity is to use a GaAs-FET in the front-end, since these devices show very low noise figures. This particular design is not very different from the common ones. The ATF54143 is a PHEMT device from Agilent technologies that can provide low noise figures combined with high signal handling characteristics. 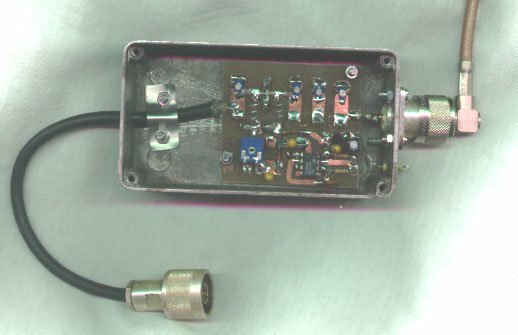 Der hier vorgestellte rauscharme Vorverstärker wurde so ausgelegt, dass er für alle Betriebsarte und -fälle wie ATV, OSCAR, SSB/CW usw. verwendet werden kann.